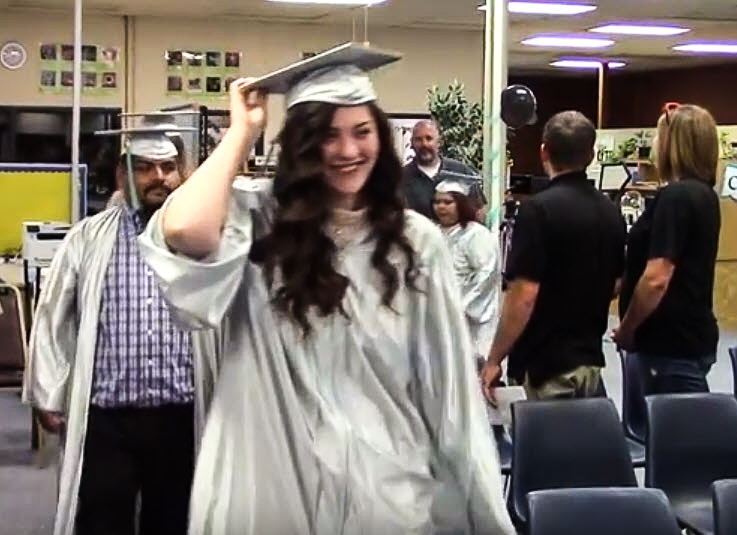 Oroville, CA - Five of Come Back Butte Charter's 2018 graduates turned their tassels to cheers and applause from family, friends, school staff and members of the community on June 4 at the Butte County Office of Education's Center for Transforming Education. 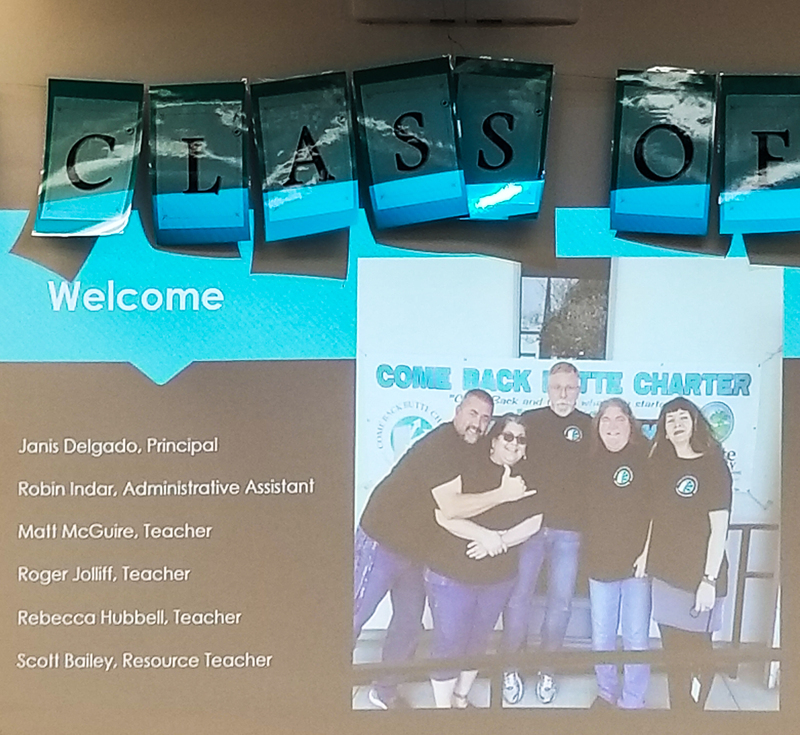 In its second year of operation, Come Back Butte Charter (CBBC) graduated 16 students in 2018. Nine students graduated from CBBC in 2017. 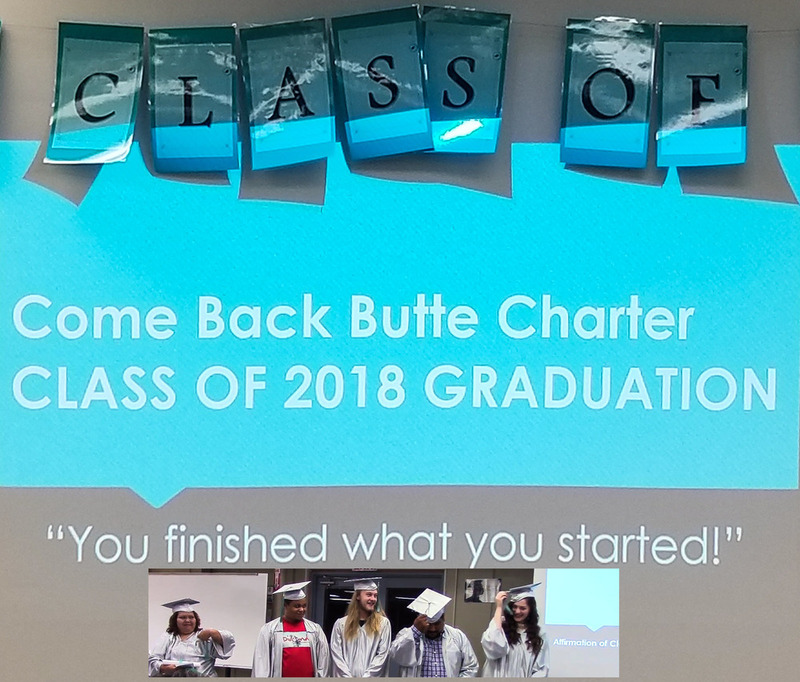 Come Back Butte Charter is a school for students 16 years old and older and provides an opportunity to earn a high school diploma or prepare for and take the HiSet (similar to the GED), prepare for vocational education programs or Career Tech Education, at no cost. This year, 2018 graduates Phelan Fred and Martha Garcia each spoke for a few minutes to thank people who helped along the way and to share a little about their personal journeys on their way to graduation. In addition to celebrating with the five graduates who walked in Monday's ceremony, Principal Janis Delgado - joined by CBBC's education team (Matt McQuire, Scott Bailey, Roger Jolliff, Rebecca Hubbell and Robin Indar), BCOE Superintendent Tim Taylor and members of BCOE's leadership team (Mary Sakuma, Karen Stiles, Michelle Zevely), and BCOE Trustee Jeannine MacKay - recognized all 19 graduates for finishing what they started! Come Back Butte Charter Graduates Turning Tassels!